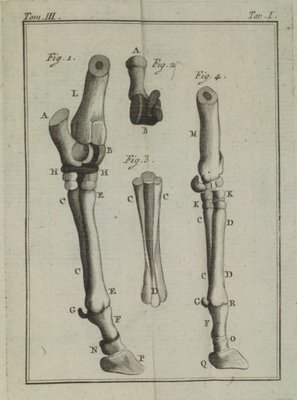 E.D'Alton's 'Naturgeschichte Des Pferdes' from Anna Amalia Bibliothek. I saw only one other illustration of a skeleton in normal stance. 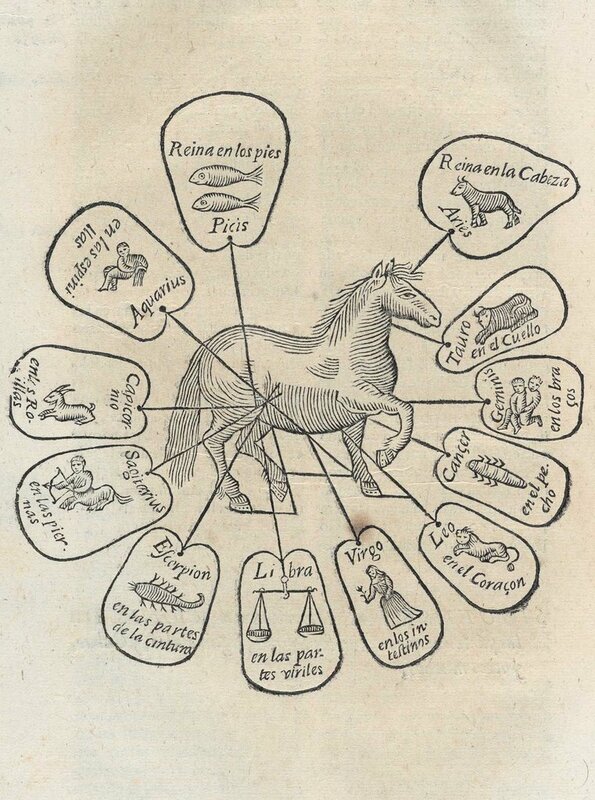 An earlier edition has interesting schematic sketches. 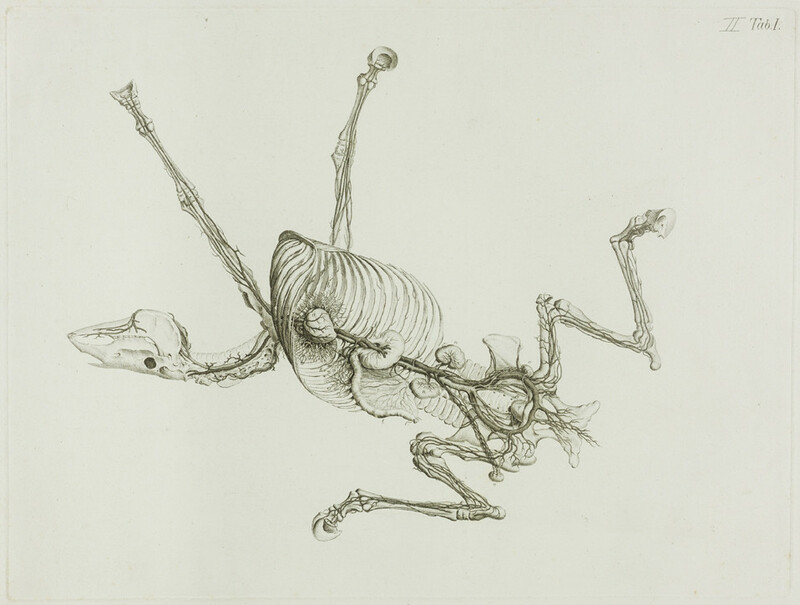 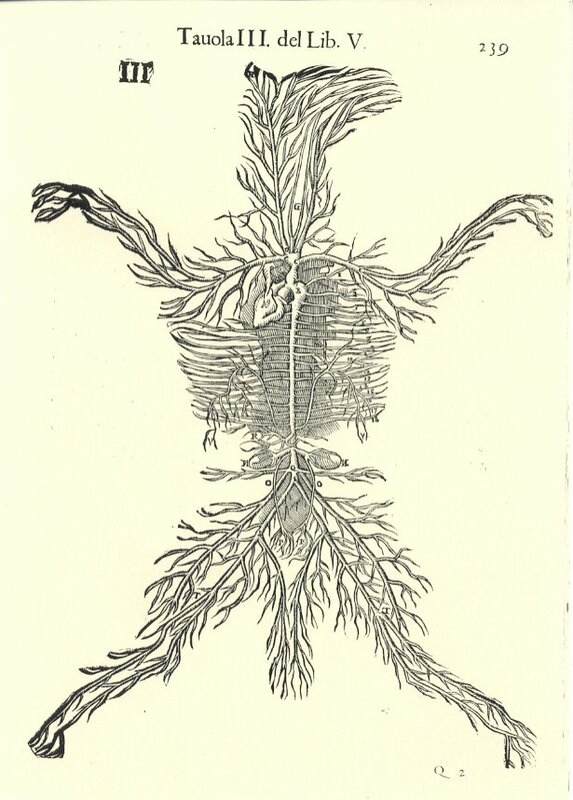 'Della Cavalleria' by Georg Engelhard Löhneyss, 1624.
for the Fourth Anatomical Table' 1756-1758 by George Stubbs. 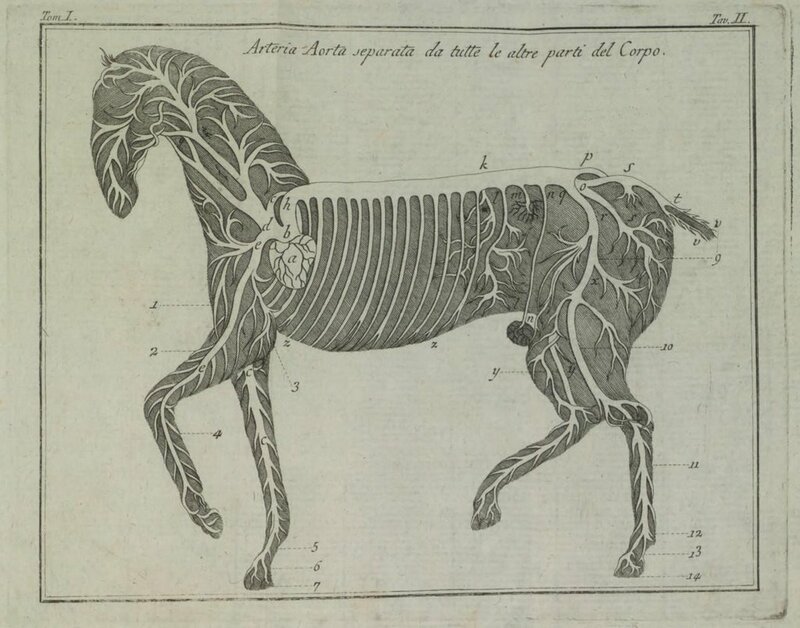 'Anatomia del Cavallo Infermita..' by Carlo Ruini, 1618. 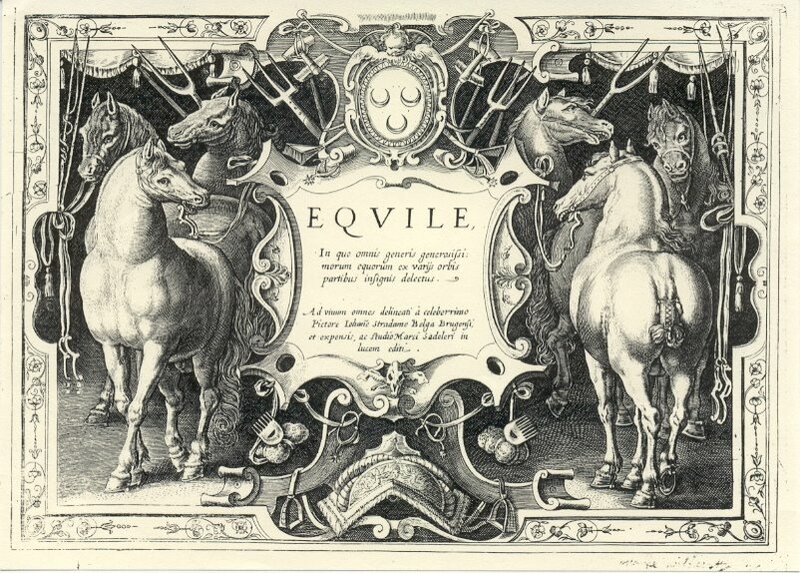 Frontpiece from 'Equile, in Quo Omnis Generis..' by Johanes Stradamus, 1634. 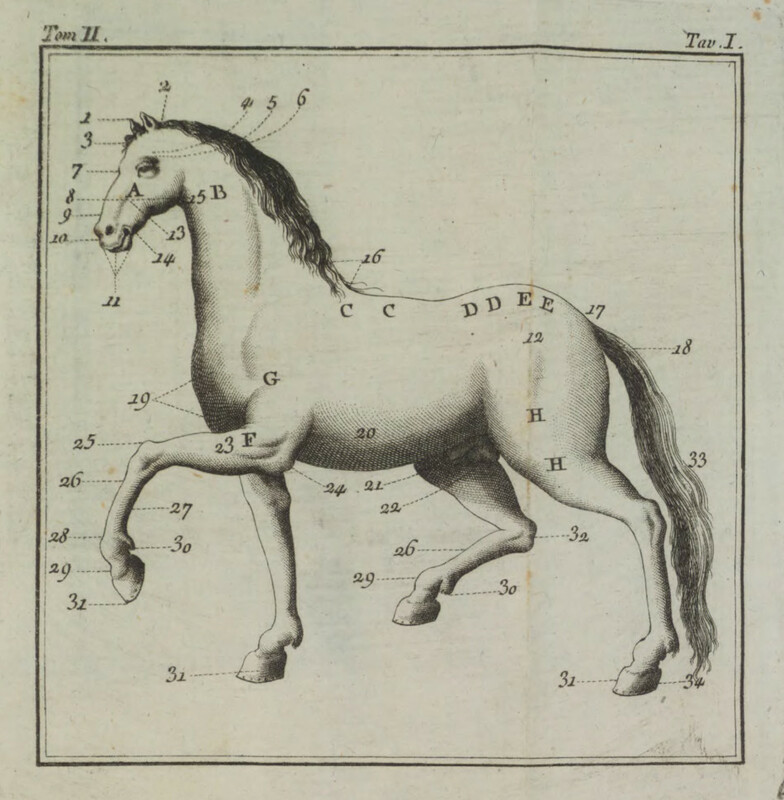 'Zodiac Horse' from 'Obras de Albeyteria..' by Martín Arredondo, 1704. 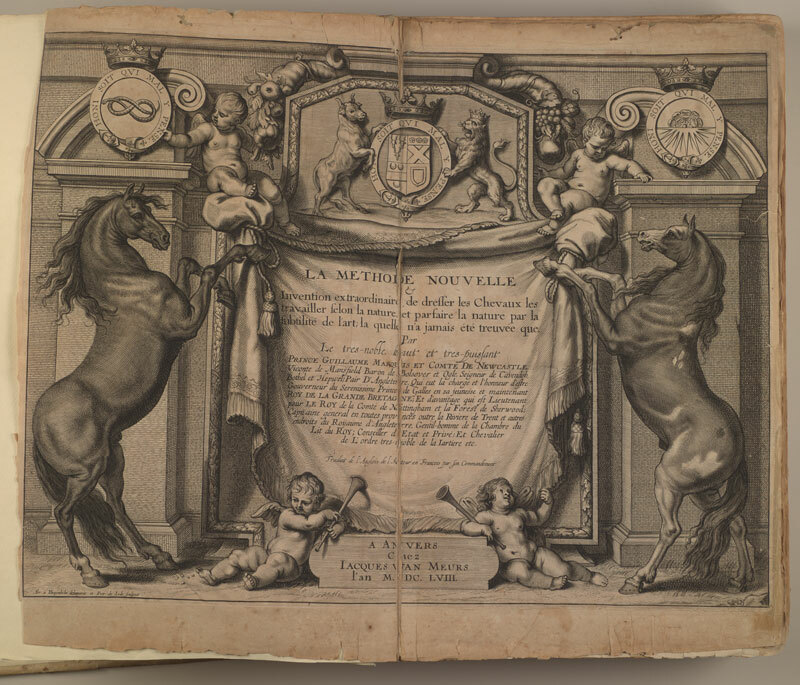 'De Humana Physiognomonia Libri IIII' by Giambattista della Porta, 1586. 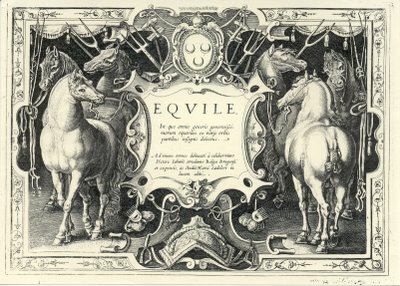 The Strandanus 'Equile..' frontpiece is also from the Danish Veterinary Library - a series of naturally posed engravings of the then known breeds. 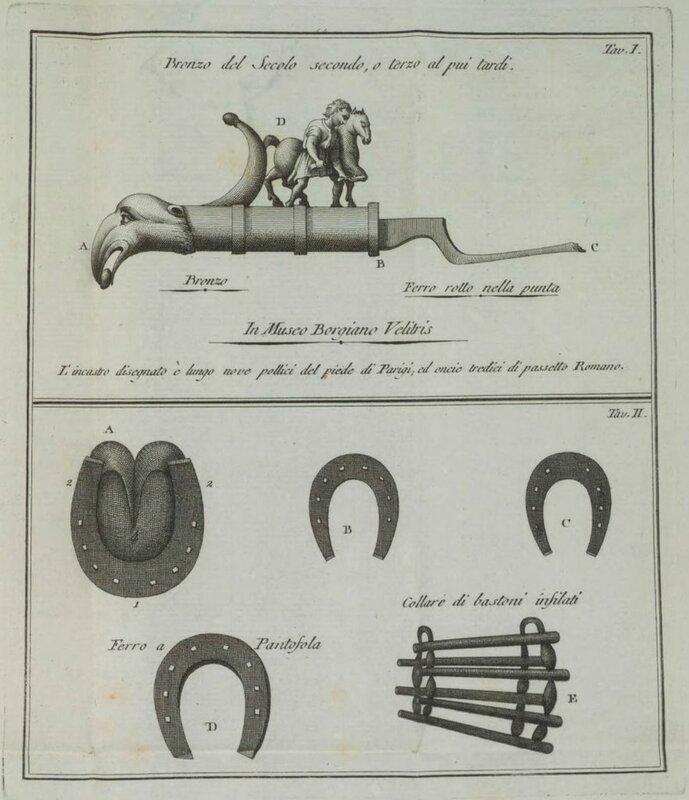 The Cavendish frontpiece comes from Lista Oggetti (no other images available). 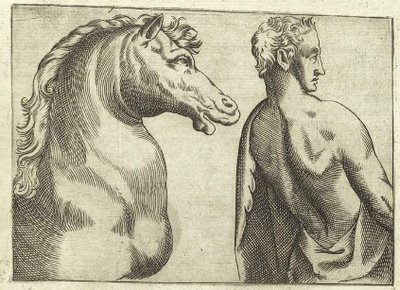 The Georg Engelhard Löhneyss engraving, also from the Danish Veterinary Library, is from a series that were inspired by/copied from Carlo Ruini. 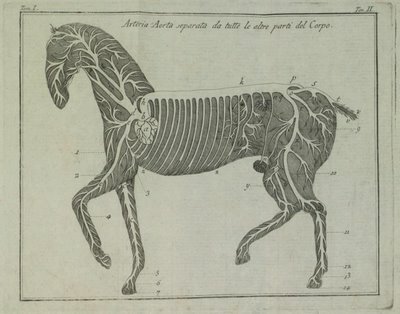 Just to give a vague indication of the enormous body of literature relating to veterinary science, here's a bibliographic list of 5 centuries worth of monographs, journals, pamphlets, manuscripts, archival records, and ephemera, from the Washington State University Veterinary History Collection (they also have gallery pages with small images). 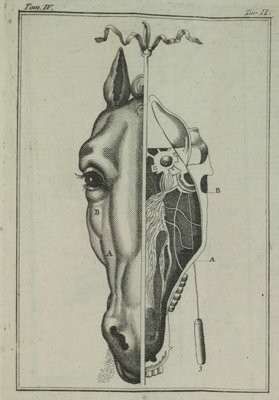 I've previously posted a link to the Michigan State University Library Rare Veterinary Books exhibition - most of the illustrations are frontpieces. 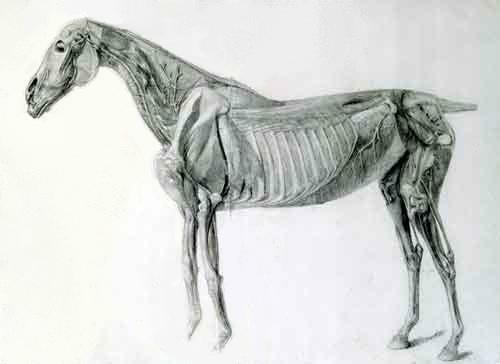 Good quality images of some old illustrations of horses by some master engravers. 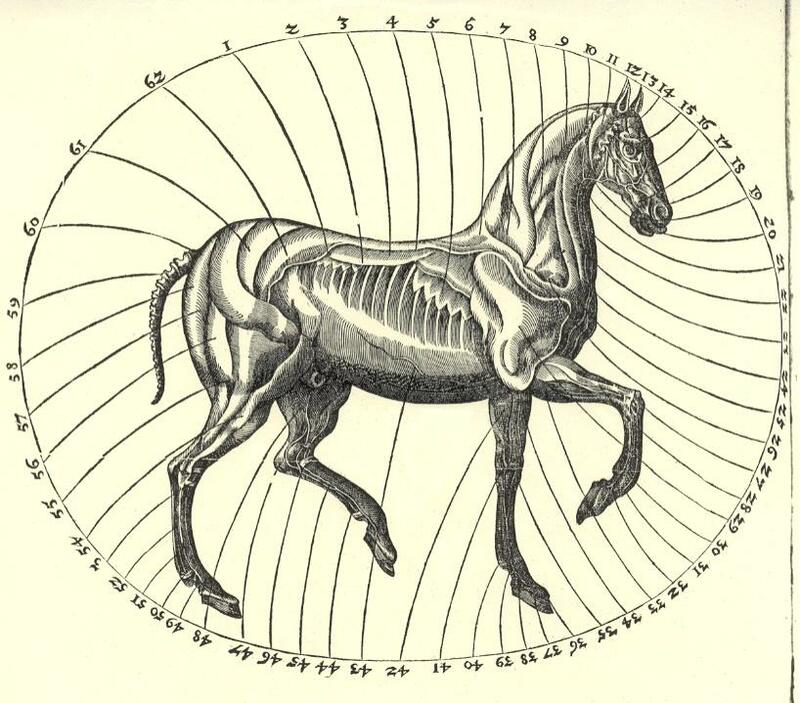 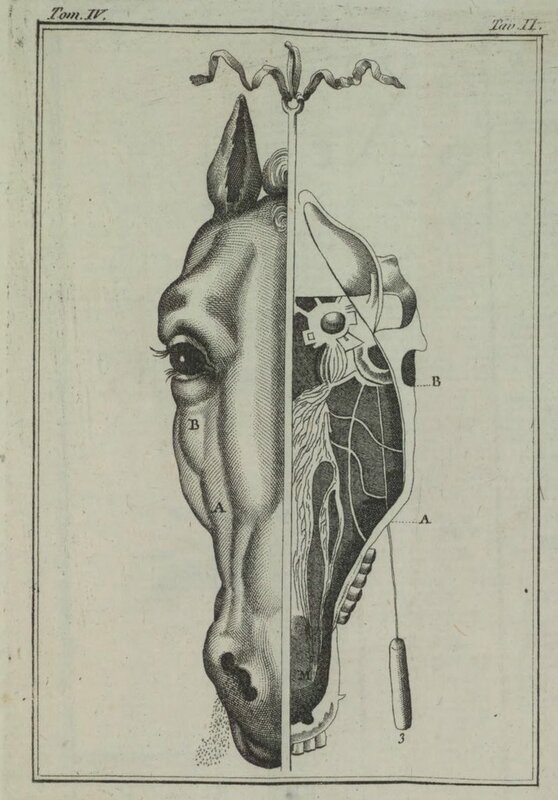 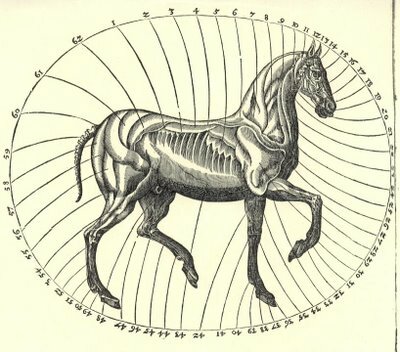 Just because I found them: A History of Veterinary Anatomy at Cambridge University (the last large image wouldn't have looked too out of place among the Industrial Anatomy post from the other day); 'The Tao of Horsemanship' Ch. 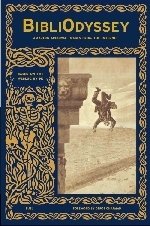 1 © Dr T Ritter; Farriery articles from (where else!?) horseshoes.com. 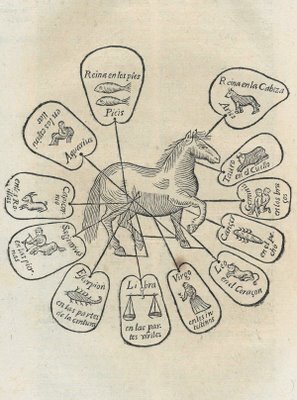 Horseback Book Arts (A Caballo Artes del Libro) is the name of my blog... some weeks ago Bibliodyssey is sindicated in my Sage feeds.